As I tell you this story, you may have to read closely. It is a story of many moving parts. I am alone in the bedroom with our youngest child late one evening, in the Spring of 2017. If you were to meet our youngest today, you might not guess that he was a late talker, but he was. At two years old, he understood a lot, but his articulated words were few. He answered yes and no to questions, made one-word requests with what vocabulary he had, and loved to make a spitting sound as he stuck his tongue out through his lips, “Pthhhhhh.” He did this in anger, and for fun. He is almost four now. He babbles on in full sentences the way a toddler does, parroting his older siblings and adults around him, grammar and pronunciation always just a little bit off. He does. not. stop. talking. In Spring of 2017, his speech was just taking off. That night he was alone with me in the bedroom. He said something that stopped me in my tracks. I couldn’t believe he still remembered. This story starts much earlier- two years ago. It starts in late Fall of 2015, early in the morning—November 5th, to be exact. We were in our Texas home, where we had moved just three months prior, full of many ambitions and dreams: that six-figure job my husband had landed, an amazing school for the kids, the dream home we were working towards purchasing, and finally, finally being closer to family. Our youngest was almost two at the time, and inhis father’s lap. My husband, Ibrahim, was about to take off for work, and I was getting ready to take the other kids to school. There was a rhythm to our days— a familiar, repeating motion. This was how our weekdays started. Then they came —in fourteen, unmarked cars. FOURTEEN. A single car would have been enough, or two or three, but “enough” is not what any of this is about. There is an element of spectacle to these situations, a display of pomp and power meant to strike fear in the heart. They like to put on a show. I saw them coming through the open garage door, the descent of vultures into our home. I shouted at our older three to go to their rooms, protecting their eyes from what was happening. I ran out, too hurried, too panicked, to even think about my hijab, there was no time. I took our two-year-old son from Ibrahim. We both knew what this was about. I demanded a warrant. They denied my request at first, but presented it briefly afterwards. They did have a warrant and this was no mistake. Ibrahim blacked out. He was standing there one minute, listening to the barrage of legalities, instructions given to me by the US Marshalls: which court, what time, what steps to take, which lawyer. On and on, they droned while Ibrahim’s life flashed before his eyes. Would he ever see our four children again? Would he ever get the chance to run around the house with them? Would our toddler even remember him? Would he ever see his own mother? It was all too much for him, and he came crashing down. My husband is built like a linebacker. Six feet tall, broad shoulders, strong as an ox. And he fell. I cannot recall what I did with our son, but in an instant, he was no longer in my arms and I was at Ibrahim’s side beckoning him to get up. He was sweating profusely. Soaked completely through his clothes. They called the paramedics and went on with business. It was just another day at the office for them, and a never-ending nightmare for us. The US Marshalls, I admit, were somewhat considerate. They let Ibrahim hug his children goodbye, and they were kind enough not to put cuffs on him in front of the children. But the children saw anyway. They watched from the upstairs window, confused and horrorstruck, unbeknownst to me, as their father was taken in cuffs into the back of an unmarked car. I watched, numb and cold in the heat of a Texas autumn —confused but determined as they drove my husband away. That was the day my husband fell. A year and a half passed, between the time our youngest saw it happening and the time he said those words, “Baba fall garage”. He was three when he said it. Half of his then-lifetime had passed before he could tell me about that memory. That’s a long time to hold something in before you can put it into words. You might have guessed it by now, but this story starts much earlier. It starts in the Winter of 2011, in the early morning. We were in our Ohio home. It was December 8th, and (perhaps you are seeing a pattern here) it was just the start to another ordinary day. My husband was getting ready to go to work. I was upstairs on the second floor of our townhouse, getting ready to take the older two to school. Our third child, a 6-month old baby, was lying on the bed, laughing and cooing. It was then that the ominous knock came—a terrible, loud banging on the front door. I looked out the window and made eye contact with an agent wearing a vest, the letters F-B-I sprawled across her chest. This was our first visit from them. It came without warning, but with everything in me, I knew it was not good. When you have been a part of the Muslim community in America for as long as we’ve been, living post 9/11, you recognize a surprise visit from the FBI as part of a familiar narrative. It’s like when you’ve read too many Agatha Christie novels: You go from being shocked each time about who committed what crime, in awe of Christie’s writing skills, until you reach a tipping point. A switch flips. You start to recognize the pattern in her writing, and suddenly, you can guess without fail the end to every novel. It’s the same with these types of FBI cases. If you haven’t seen the pattern yet, it’s only because you haven’t read enough of them. The FBI authors many cases (which you may have heard about in the news as “terror plots”) \. They are of their own construction. They involve undercover agents, claiming to be sympathetic to a Muslim cause, preying on the sentiments of people who are mentally ill, or alone and vulnerable, or else angry and frustrated with American injustices abroad. The agents seek out vulnerable targets, and then construct a plot so flimsy it could never have taken off anyway. They involve targets in the plot just enough so they can later arrest them, indict them, and convict them of a crime they would never have thought of were it not for the FBI itself. Often there are co-conspirators that the FBI somehow manages to rope into the case because of their association to a target, even if the co-conspirators are clueless about any potential crime. Sometimes these cases are thought crimes — the defendants guilty of nothing their First Amendment rights don’t clearly protect. Whatever the version of the story it is, the underlying mechanism is the same. The FBI schemes, and then declares itself hero as it foils its own plot. A Muslim, or groups of Muslims, is caught in the crossfire of flimsy evidence. A jury made up of average Americans who are mass-fed fear, already exposed to a narrative of the defendant’s guilt through the media, is expected to weigh in on a genre they know nothing about. They haven’t read enough stories to see the pattern yet. It is a game the FBI plays and has played for many years now with the Muslim community. When you get a visit from them, you don’t know how they will use you as a pawn in their next best-selling plot, what role they will assign to you, but you can be sure it is not good. So when that ominous knock came on that early December morning, I flew into gear. I don’t know what moved faster: my heart sinking all the way down to my feet, or my feet flying down a full flight of steps just as my husband was opening the front door. I threw myself against the door, shutting it again. They yelled from the other side to open up. They said to go put it on, but I still had to let them in. Up the stairs I ran. My hands shook as I wrapped a crumpled scarf around my head, just as they were making their own way upstairs. They called out my name at the landing – I was surprised they actually knew my name, that they even pronounced it correctly – and I walked out to meet them. “We’re not here to arrest anybody.” Those were the first words the agent spoke, and there was instant relief as the blood came rushing back into my body. I demanded a warrant. I said I had a right to a lawyer. I did all the things I knew I was supposed to do in a situation like that. Ignoring my request for a warrant, they said absolutely to a lawyer. I fumbled through some old papers in the bedroom. The only lawyer we had at the time was an out-of-state immigration attorney for when we had applied for my husband’s US residency. I had no other numbers, and didn’t know who to call. I feigned calling the lawyer, when in reality I called my dad. I knew he would be able to help, but when he didn’t pick up, I called the immigration lawyer anyway and left a message for him. I demanded a warrant again. The agents ignored me as they entered my bedroom to begin their search there. I was feeling all sorts of emotions. Confusion about what was going on, fear creeping in on me, but mostly I was angry. I asked them point-blank what was going on, and they said something about structuring. Ibrahim is a structural engineer, and I was utterly confused as to how his job could get him into any sort of trouble. I asked them to elaborate. A female agent said this was about structuring of funds. I looked her straight in the eye and laughed. “You really need to come up with something more original than ‘structuring of funds.’ That’s all you guys ever try to blame on people like us,” I said. She turned beet red, as did the other FBI agents. I grabbed my 6-month-old baby and went downstairs. I found my husband with other FBI agents sitting on the sofa. I looked him in the eye, told him to shut his mouth and not open it no matter what. We still didn’t have a warrant. They separated us and took my husband into the dining room while I stayed on the living room sofa with our three children. I am not exaggerating when I tell you there were dozens of them. A few dozen agents inside our home, and another dozen or so stationed outside, too many for me to actually count or keep track of. They searched everything: drawers, cabinets, the inside of cereal boxes and cookie jars, everything they could possibly find. They even opened up the fridge and started looking, like we could be hiding something dangerous in there. I don’t know, a carton of expired milk, maybe? They crawled all over our home like a horde of ants, seeping into every nook and crevice, invasive and unwelcome, impossible to get rid of. I still had my phone at this point because I was waiting to hear back from the lawyer. I picked it up, saying I had to call him again. I called my dad. He finally picked up. Speaking in Urdu, words pouring out of my mouth in a rush, I told him there were people in the house— he needed to act fast. My dad understood immediately. So did the translator standing behind me who I had not seen. They came and took my phone away. I protested, anger punctuating my every word, but they kept it, saying they would return it to me. Feeling angry and trapped —my communication with the outside world, with anyone who could help us —now snatched away, I sat there with the kids, trying to occupy them with coloring and cutting paper. The agents searched on. Again and again, I demanded a warrant, and again and again I was denied. Three hours later, a lawyer showed up at our home. Through a series of phone calls my dad had made, he finally got in touch with one. It was another immigration lawyer, a friend of a friend of a friend. This was not his area of expertise and he was not comfortable taking the case, but he came as a tremendous kindness on his part to help us when we were most in need. Ibrahim was done with their questioning by this time. He was sitting next to us on our living room couch. The agents released us into the lawyer’s custody, giving him permission to take us out of the house. They continued searching. Sitting in the lawyer’s car, we told him what happened detail by detail that morning. It was a long and excruciating ordeal to go through, and I have saved you from most of the details. Apparently, the lawyer told us, this kind of search was going on in other Muslims’ homes in Dearborn and parts of Detroit, Michigan, as well. These guys were on a roll, their pattern of play clear and on display for anyone who cared enough to look into it. We drove away with the lawyer; stopping by my husband’s work to explain his absence, stopping by McDonald’s to get the kids some treats. It’s what you do as parents, isn’t it? You go through the most traumatic experience of your life, and in the midst of your own confusion, you carve out a moment of normalcy for your kids. You try to put them in a bubble of warmth and safety, signaling to them that everything is ok, or will be ok, and inside you, all the while, is a non-stop reel of all the horrors and worst-case scenarios your mind can dream up. A couple hours later, the agents called our interim lawyer saying that they were done. They were gone by the time we came back home. This should have been a comfort, but walking in through the unlocked front door, I felt like I had been physically violated. Our house was a mess. Everything was all over the place, thrown out and strewn around the house. It looked like ruffians had ransacked our home – isn’t this the kind of thing you call the authorities to report? So whom do you turn to when it is the authorities who’ve done this to you? They raped our home, leaving us to pick up the pieces, to trace their steps and count the things that were missing. They took all of our electronics: laptop, external hard drives, old computers I had from work. They took a bunch of CDs we had of religious lectures, things that were mainstream and standard in Muslims homes at the time we bought them. Anything that looked remotely electronic was gone. The only thing I really cared about was a hard drive with all our children’s pictures since the moment they were born. I am still waiting to get back those pictures of my babies. Do you see how things escalated? In December of 2011, I flew down a flight of steps at the sound of a knock, threw myself against an opening door, used my headscarf as a way to buy us a few extra seconds before our home and our lives were turned upside down. In November of 2015, almost four years later, there was no knock against a closed door (even that token gesture of seeking permission was taken away), there was no time to spare, and I left behind a headscarf I had worn religiously for eighteen years as I flew to my husband’s side. I know you are wondering what happened in those four years between the raid on our Toledo home and my husband’s arrest in Dallas. I should mention, first, that we finally got our search warrant. The head agent in the 2011 raid gave it to our interim lawyer when he showed up, something about a condition on the warrant saying they didn’t have to present it until after their search was done. They also presented my husband with a subpoena. Within a week, he was set to stand trial before a grand jury in Cleveland, Ohio. If you know anything about grand juries, you know that indictment is guaranteed once you are, in front of one. The defendant shows up in court without a right for defense, prosecutors bombard him with a sundry of accusations, 99.9% of which are untrue and which he will not be formally charged with. There’s a catchphrase in the legal world that you can indict a ham sandwich. They don’t look for proof of guilt; they merely look for what the government tells them to do. Needless to say, it was a week of panic and intense prayer. We went everywhere looking for lawyers until we found a David Klucas in Toledo through a friend. David spoke with prosecution and they surprisingly offered a reverse proffer, a chance for my husband to speak to them outside of the courtroom and offer them information they might be looking for. Ibrahim proffered twice at the FBI office in downtown Toledo. They asked him a series of questions and he answered. Here is where I tell you that nothing happened in the four years between the Toledo raid of our home and my husband’s arrest in Dallas. After the proffers, there were no court dates and no charges brought against him. Ibrahim never stood in front of a grand jury; he was never indicted. The FBI never approached my family again. For four years, they disappeared. We went on with our lives, guardedly at first, and then more and more freely. In the winter of 2013, we moved to Michigan for the kids’ school, while my husband continued his work in Toledo. In August of 2015, we moved to Dallas. I’m a Houston girl myself, and the Midwest was always too cold for me, always too far away from family. Dallas was a promise of a better job and better schools, and being that much closer to home. We checked with our lawyer every step of the way. Somewhere in those four years, my husband even applied for his US citizenship. We talked to our lawyer to make sure moving out of state wouldn’t be a problem. We opened a bank account with our social security numbers, we acquired utility accounts, we lived our lives in the way people do when they have nothing to hide. But three months after moving to Dallas, and four years after the raid, they showed up again. Only this time they had a warrant, and this time they had an indictment. This time, the arrest and charges were all too real. When Ibrahim was arrested, he was extradited back to Toledo, where all of this began. The “evidence” brought against him, if you are inclined to call it that was not something he said or did or participated in during the four years the FBI left us alone. Instead, it is behavior of allegedly criminal intent dating back to the years of 2005-2009. This was many, many years before the arrest, and several before the raid itself. Why the sudden change? Did moving to Texas somehow take us out of their jurisdiction; did they miss having us close by? Or was it because the old prosecutor had moved on to a career in DC, while some new hotshot, eager to clear out old files and play hero, decided he needed to add a “foiled terror plot” to the pages of his developing resume? I know you are still wondering what all of this is about. Most days, I wonder the same thing, too. In 2015, Ibrahim (along with three other Muslim men) was charged with conspiracy to provide material support to terrorists, conspiracy to commit bank fraud, and conspiracy to obstruct justice. Search his name, and you can read the whole 72 page indictment if you like. You would think those pages contained mountains of evidence for the prosecution’s claim, clear exhibits of crime or attempted crime, but they don’t. They’re filled with buzzwords like al-Qaeda. They have snippets of email conversations between the defendants expressing unpopular political opinions that are protected by First Amendment rights, and (hold your laughter), evidence that they shared and listened to the popular nasheed, “Ghurabaa.” There is evidence of irresponsible behavior from one of the defendants, nothing I can elaborate on, as the case is still pending, but nothing that showed a conspiracy to commit acts of terror. The crux of the prosecution’s argument pivots on the name “Anwar al-Awlaki,” who was killed in a US drone attack in September of 2011, less than two months before the raid on our home. The CDs they took during the raid included some of his lectures from years before. The emails exchanged between defendants show that they sometimes mentioned his name. The indictment opens with several pages of Awlaki quotes and excerpts from his blog, citing his later views on jihad – no evidence that the defendants shared those views or were even aware of all of them. In many ways, it is really an indictment of Awlaki himself, a man who they already killed. What the indictment conveniently leaves out is that Awlaki was a household name within the Muslim community for many years, that his lectures were mainstream and non-controversial. We bought his CDs and shared them; we mentioned his name and quoted his words at a time when it was not a crime to do so. The fact that the FBI had him under surveillance, that they studied his movements and changing ideology under a microscope for many years, does not mean that the Muslim community was privy to that knowledge within the same time frame. When it became clear that Awlaki’s views in his later life had turned radically extreme, by and large the Muslim community distanced themselves from those views. It was one thing to criticize the US for its foreign wars and illegal occupations, another thing entirely to encourage indiscriminate attacks on civilians, or the betrayal of trusts extended to us as civilians by the country we lived in, and loved, and called home. My husband’s trial is about many things, but mostly, it is about his First Amendment rights, and this sick and unethical game the FBI plays with the Muslim community and with the hearts of the public. Somewhere, an FBI agent, a state prosecutor, a higher up in Washington DC writes these cases down on his resume, a plume in his hat, a shining star ascending in his career. He moves up the ladder by stepping on some family’s life, spreading fear in the hearts of citizens while claiming to protect them. If you search the internet for my husband’s name, be sure to search it as Ibrahim Zubair Mohammad, and maybe include the word “Toledo,” or you will have trouble finding the right Ibrahim. There are thousands of men in the world with that name, but only one of them is the man I know as my husband. What you find out there will doubtless be damning, news articles reporting on the charges and quoting the prosecution, telling a one-sided story in as sensational terms as they can. Remember that the FBI has played this game before – using media is a part of their pattern – and remember that they are experts at selling fear. 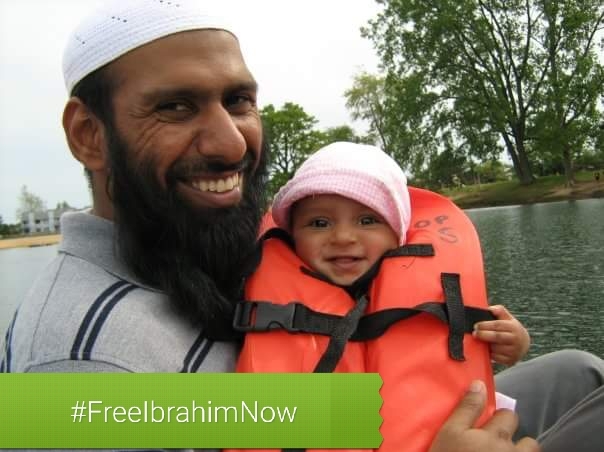 Ibrahim is currently being held on the sixth floor of the Lucas County jail in Toledo, a concrete structure where he has no access to fresh air or the sun. I remind you that it has been two years since he was arrested. He has not been convicted of any crime. We await a trial that has been postponed and rescheduled at least four times already, anticipating his return every day. Every day I answer questions from our children about when Baba will be home, who took him away, why they took him away. Our now nearly four-year-old remembers what the others never saw, “Baba fall garage,” that one detail about his father I desperately pray that he forgets. He thinks we go to “Baba’s house” during visits. Our “visits” are nothing more than video chats through hazy screens in a loud jailhouse lobby, my husband sitting upstairs somewhere in front of another hazy screen. This is our contact: nothing physical, no visits behind glass, just this rudimentary video chat where I take one child per week for 30 minutes, max. Ibrahim has watched his children grow from behind this screen. He has seen them only through the eyes of a camera in the pictures I am able to send him. We moved back to Toledo as soon as we could after the arrest, leaving behind the Dallas life we were beginning to love, in favor of being with him. Ibrahim is so close to us, yet so impossibly far away. For almost two years, I have raised our children as a single parent, surrounded by old friends who have known Ibrahim and our family for over a decade. They stand by my side relentlessly, giving their unconditional support. They love our children like their own. These are people who have known Ibrahim for so many years as a friend, a successful engineer, a Qur’an teacher, a philanthropist who never shied away from helping others in the community, and a man who was obsessed with his family. We were that typical American family who cleaned out the garage when it was warm out, who washed their cars on the weekends, who went biking around the neighborhood, who went to Costco just to try the samples. Ibrahim was the husband who woke up early on the weekends so I could sleep in, made his famous omelets for the kids (four different types for four picky eaters – five, if you count me), sat down with the children and read Qur’an with them, prayed with his family at home, helped me with chores and dinner, and my favorite: put the kids to bed. They loved his bedtime stories. The ones that had adventures galore and lessons to be learned, the ones I thought were far too long. After these nearly hour-long bedtime stories would be our turn. Chai and cookies, and just us. These days, our days consist of the same breakfast (only one type of egg for four picky eaters), the mundane routine of school, homework, and me counting down the minutes until bedtime. There are no bedtime stories, no imagination left for me to conjure up anything, nothing that will ever come close to matching Baba’s adventures. After putting them to bed, I head to our bedroom, alone, no chai or cookies, no us. Nearly two years of going to bed alone, dreaming about Ibrahim and then waking up alone. Two years of being mom and dad, discipliner and comforter. Two years of waiting, fighting, and more waiting. Two years of being emotionally and physically drained. Two YEARS. And he’s still not home. In the last two years, we’ve moved for bond twice, backed by the moral and financial support of the Toledo Muslim community we lived in for many years before Ibrahim’s arrest. Both motions were denied, this last one, according to the prosecution, “based on the facts of the case.” The same “facts” that led to a raid but no charges several years after the “evidence” was in their hands. The same “facts” that let Ibrahim live as a free man, carrying on with his normal life for FOUR years after the raid. If he was such a threat to society, then why did they “endanger” the public by letting him stay free for so long? Is the argument that they were carefully watching him all those years? And if he is innocent, or at least presumed innocent until proven guilty as the law allows, then why can’t he await trial with us on bond, at home, under the careful watch of the State, while he makes omelets and tells bedtime stories and watches with love as his own children grow? Here is a fun fact. If you go to the Toledo Zoo, you might see many things: giraffes with long necks, a brown bear taking a bath, an octopus in a dark display in the aquarium. You might also see elephants in an enclosure. That enclosure was something Ibrahim worked on once. Ibrahim Zubair Mohammad: my husband and father of our four children, family man and community volunteer, structural engineer and designer of elephant enclosures. It is here that I come to the end of telling a story that is still unfolding. It was kind of you to listen in for so long, to follow the thread of so many moving parts. These are words I have held in for a long time. Ibrahim, as I write this, is still awaiting trial, our family’s life is still in limbo, we are still holding on to the hope of bond until said time. How things turn out in the near future, how they turn out eventually, at what point any of this comes to an “end” is known by Allah alone. In the meantime, we carry on, doing our best and fighting the good fight. We created an online petition titled “Justice for Ibrahim Mohammad.” Please sign this petition, and spread it far and wide. Here are the names and numbers of Ohio Representatives. Share your ideas below, anything you can suggest or help with will be greatly appreciated. Brothers, write a letter to Ibrahim. I like how he speaks as if Baba is still here. He keeps saying that Baba is out of prison already. I wonder if he dreams about him, too, and if in those dreams he sees what I pray every day to see: Baba finally home, wiping up that spilled yogurt, with his baby boy in his arms. Prayers for you and for Ibrahim that this nightmare will be over soon, Inshallah. Thankyou for sharing your story with us. I don’t think anyone can comprehend what you and your family have been through. I pray Allaah grants you ease, ends this trial and returns your husband to you Aameen. I will keep you in my duas sister. This was so heart-breaking to read, but as a Muslim, I am hopeful that Allah has a better plan for you and your family inshaAllah. He answered the call of Yunus (AS) inside the belly of a whale. He will bring peace and justice to your family, and the reward of Jannah for patience in this trial. Ameen. This could be any of us. Heartbreaking. I’m so sorry. Thanks for sharing and may Allah free your husband. Given how this brother was framed, Muslims in America better start using encryption and taking measures to beat surveillance so they can’t be framed like this. Please visit https://ssd.eff.org/ and educate yourself. As Salaamu Alaikum sister. May Allah bless you and your family, and may Allah grant Ibrahim the patience of Ibrahim alaihi salaam. May he grant him the ease and contentment that Ibraheem alaihi salaam had in his trial. May Rabbul Aalameen also grant him a high level and freedom as Yusuf alaihi salaam and release him from the prison. Inshaa Allah we make du’aa for you at this time, and may Allah use us to help you as well. Salaam. This story needs to be heard. I highly recommend you pitch a version of this to a magazine (not newspaper, because you want to be able to write it in great length). Consider which ones may take a story like this, by reading some of their current stories. It’s imperative that this story reaches a wider audience! Maybe Vice. May Allah give you sabr and may he be released soon. Stay strong and turn only to Allah.. I looked at the indictment. It shows two brothers in puppy love with the Taliban and al Shabaab who lied to obtain credit cards and used fraudulent means to send money to a known terrorist, Anwar al Awlaki. Ibrahim is a guest in the United States. He engaged in criminal behavior. I have no tolerance for financial dishonesty or fraud against my government. To add insult to injury, American citizens such as myself have to give our hard-earned taxes to monitor non-citizens who use our country as an opportunistic playground for their violent religious aspirations. I’m completely sick about this. I am personally offended by Ibrahim Mohammad and the way he conducted himself in my country. He does not belong here. After prosecution, he should be deported without hope of ever returning. His children have only him to blame for their troubles. 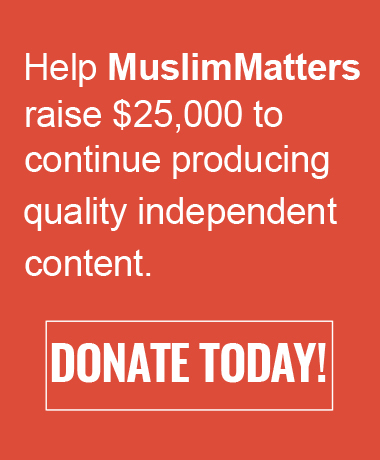 Non-Muslims read Muslim Matters. When Muslims support a fraudster who acted against the United States and her citizens while living off our largesse, it does nothing but a warped moral compass on the part of Muslims. This story needs to be video-produced (true story type of it). I was thinking to make some sort of a 5/10 minute video (short video) to showcase the horror of the scene’s and how it’s more than 2 years your sabring (be patient). and then stream it to all the SM channels (youtube, fb, twitter …) & get as much views/like. As-Salaam Alaikum dear sister. We pray that Allah, The Most Merciful, will bless, guide and protect you and your family. Think as your baby is thinking… that Baba is already out of jail. Allah says Be! And it is!. As an American-born Muslim of Pakistani heritage, I felt compelled to comment on this article. I reflected on this article overnight before writing because I wanted to carefully phrase my thoughts in a respectful and non-judgmental manner. The author writes a poignant article which humanizes the tribulations her family is enduring. It truly resonated with me because I am a father of a 5 year old boy and can empathize. I too underwent separation from my son due to the legal system and Alhamdullilah was reunited. Albeit, I did not undergo 2 years of such suffering, but long enough to understand the indescribable anguish. InshAllah, I make dua that this broken family is reunited again. Having gone through both the criminal and civil court systems in the U.S.A, I have to say that for the most part, the judicial branch of this country does its best to uphold justice. Does racism and Islamophobia exist in this country? Yes. Is it something that permeates to a degree that prevents Muslims from living successful, safe, and comfortable lives in the U.S.A.? No. If this was the case, then my parents and millions of other Muslims immigrants wouldn’t have left their own Muslim lands to seek better worldly opportunity in the U.S.A. My experience and the experience of hundreds of my Muslim relatives here in the U.S.A. has been positive. And so much so, that none of us would choose to leave this country and go back to Pakistan, India, Afghanistan, or the Middle East. The freedoms afforded to us in the U.S.A. is un-parallel. I took the author’s suggestion and researched this case online. As a habit, I always take what the media says with a grain of salt and view the presented data with a lens of moderate skepticism. A few researched items I found disturbing – namely that the author’s brother-n-law pled guilty “to solicitation to commit a crime of violence for the 2016 plot to kill a Judge, and to conspiracy to provide and conceal material support or resources to terrorists for raising and delivering $22,000 to Yemen in 2009.” Pleading guilty in a court of law – even for a lesser sentence or reduced charges is still an admission of partial culpability or guilt. The debate of whether political free speech encompasses support of declared enemies of the state (either verbally or financially) is an entirely separate issue. A freedom fighter to one group can be construed as a terrorist to an opposing faction. Nonetheless, as a citizen of the U.S.A. who enjoys its religious freedoms, luxuries, comfort, protection, educational system, legal system, and advanced infrastructure, I choose to stay clear of such foreign political rifts that do not concern me, my family, or immediate community. The author’s husband may have openly declared views that were anti-government foreign policy, but I do not wish to pass judgement without having purview to the actual evidence or lack thereof. But the first visit from the FBI may have been the gentle friendly warning to cease and desist any activity that could be construed as defiantly oppositional. My contention with what happened to the author’s husband is my opposition to the ideology of preemptive prosecution. This is the slippery slope which is dangerous and makes thoughts rather than actions crimes of accountability. If I was held accountable for all the evil thoughts that ran through my head, then I would be serving 10 life sentences without the possibility of parole! The whole point of differentiating thoughts from action is the quintessential essence of the life test that Allah (SWT) presents us with. We all are capable of murder in a fit of anger or passion. However, our conscience has been given free will to make a decision. 1. This article is not condemning the Justice system, but rather the government prosecutors and anti-terrorism agencies of this country that target Muslims, sending in undercover agents to act as instigators and entrapment agents. 2. The article clearly explains that these undercover agents target weak, mentally-ill, and disillusioned individuals to propose and entrap them in a plot they can later “foil”. They then pull into their net as many “co-conspirators” as they can in order to strengthen their case. In many cases these are innocent individuals who may be RELATED to them through ties of family or friendship. 3. No-one is their brother’s keeper and should not be held accountable for what other family members may do or claim to do. 4. If you research further you will find that Ibrahim’s brother’s lawyer explained that the “judge-murder ploy” was instigated by a fellow inmate who feigned interest in Islam and fabricated the ploy to entrap Ibrahim’s brother in order to reduce his own prison sentence. The whole thing was based on “secret code” and the testimony of a convicted felon. Read between the lines. 5. A plea agreement does not mean an admission of guilt. Rather it is a deal brokered to protect a person from a possibly worse sentence if he fears he cannot get a fair trial or an unbiased jury or fears fabricated evidence that he cannot disprove (i.e. his word against another inmate). Plea agreements can also be reached so that one person takes the fall in order to save others (i.e. other innocents who were unknowingly pulled into the entrapment). Read between the lines. The author clearly cannot comment on the specific details of the case but she said enough to help you “Read Between the Lines”. As you said, no matter what the situation, there is no justification for 2 years of detainment without trial, suffering under conditions we deem barbaric in other countries, denying bond, while the government tries to put together a case for an alleged thought crime that they already had 4 years to put together. Allah is the Best of Judges and will bring forth the truth in this life or the next Insha Allah. Thank you for responding to my comment. I thoroughly enjoyed reading your thoughts and views. I wish to respond to your numbered points and will do so systematically. Rather than copy and paste each of your points, I will just address the # as reference to what you wrote above. The rationale in humanizing her family’s suffering is to appeal to the masses for justice to be served, namely closure to the matter. The Federal Court (i.e. U.S.A. Justice System), denied her husband bail. Why? The Federal Court (i.e. U.S.A. Justice System) has not started a trial for over two (2) years. Why? Has this defendant been denied his 6th amendment right? My research has limitations because I do not have access to the prosecutor’s discovery, the defendant’s exculpatory evidence and court’s pretrial minutes. Therefore, I cannot answer the aforementioned questions. What I do know is that bail is usually denied when a defendant is a flight risk or a clear and present danger to society. Entrapment is a real phenomenon and debated in legal circles but not just for cases that deal with Muslims. 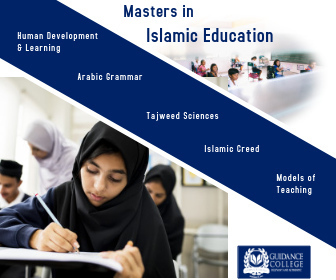 Sting operations that include undercover prostitutes, undercover NARC agents masquerading as drug dealers, undercover Mafia wise guys and other such operations are all examples of entrapment strategies that can also target “weak, mentally-ill, or disillusioned individuals.” Was entrapment designed specifically to target Muslims only? I think not. Is it ethical? Debatable. Does it save lives and keep communities safe? Also debatable. Agreed, everyone is responsible for their own actions. It just raises an eyebrow that both brothers were arrested, both denied bail, both had similar contact dealings, and now one of them has pled guilty. And yes, the author’s husband should be presumed innocent and afforded due process. If what the brother-n-law’s attorney is stating is true, then why not present this plausible defense in pretrial proceedings and/or a jury trial? Pleading guilty is an admission of guilt (whether it be partial). A no lo contendere plea is when the defendant neither accepts nor denies responsibility for the charges, but agrees to accept the punishment. This is analogous to an Alford Plea, whereby a defendant asserts innocence, however admits the evidence the prosecutor has would likely persuade a judge or jury to find the defendant guilty beyond a reasonable doubt. The brother n law pled guilty. He did not plea no lo contendere and/or an Alford plea. What could have been worst than twenty-seven (27) years in jail for a man in his 40s? This is effectively a life sentence. Why wouldn’t the brother n law have taken this case to trial for the possibility of not receiving any jail time and found innocent? If someone is innocent, they are not going to accept a lesser deal that is 27 years. This is absurd. Unless they know that there is no possibility of being found innocent and/or are truly guilty of the charges. Studying other precedent cases that involve non-Muslims for capital crimes, it can take more than 2 years before a case goes to trial. A current example is the May2015 Waco shootout case which is in an active trial right now over two (2) years later. But, yes, I do agree that this waiting time is excessive, especially if a person is innocent. I have a lot of questions about the four (4) years in between FBI visits. What exactly transpired after the first FBI visit? Were there any activities that raised red flags during these four (4) years? Were any warnings given? Was suggestions given to avoid being on the radar screen? There is a lot the public is not privy to and understandably so. All around this is a sad, and if this case is truly about thought crimes and preemptive prosecution, then yes I would like justice for the author’s husband. But, being intellectually honest I cannot conclude innocence or guilt based upon media writings. InshAllah, I hope this family gets back their husband and father. I would like your story to be widely published in media that reaches Americans who are not Muslim. Living in a fascist state is not what we hope for you or ourselves. The light of day needs to be upon your case so that other people can get behind you and make justice happen. Hello, I am not Muslim and your story has reached me through Facebook. People are sharing it and listening to you. Your writing is remarkable. Have you thought of reaching out to the Washington Post or Huffington Post with this story? In addition, there is a group on Facebook called Pantsuit Nation. There are over a million members of this group, including many Muslims. Your story would be heard there and shared. These men and women are prone to take action. If you ask them to contact representatives, many will and you will be connected to people in Ohio who may participate in demonstrations and help bring greater awareness to your family’s plight. I will be following your story, contacting representatives, and keeping your family in my prayers. As a widow whose husband died while my 4 children were young, I understand the pain of raising children without their father. My heart breaks that you and your children are tasting this pain while your husband yet lives. This brought tears to my eyes. May Allah (Swt) reunite your family and keep you safe. amen. If it will help, I am a freelance writer, I will share this on social media and I would like to post the story to my website with a link to the change site. have you tried contacting cair? Mohammad was also ordered deported to India after he serves his prison sentence, never to return to the US, and ordered to pay a fine of $25,000. Mohammad pleaded guilty to the 2016 plot to kill Judge Zouhary, and to delivering $22,000 for Anwar al-Awlaki. “Judge Sargus said it was ironic that he was sentencing Mohammad in a federal courtroom where thousands of people had been naturalized as U.S. citizens over the years. Farooq Mohammad was welcomed to this country with his three children and his wife, but he chose to attack the principles that bring so many people here,” Judge Sargus said. “Scheduled for trial in April on similar terrorism charges are Mohammad’s brother, Ibrahim Zubair Mohammad, 36, of Euless, Texas; and brothers, Sultane Roome Salim, 41, of Columbus and Asif Ahmed Salim, 35, who most recently lived in the United Arab Emirates. Yes, Mrs. Ibrahim Muhammad, I too hope justice will be done. My family’s prayers go out to your family sister. May Allah rectify this for your family soon and allow you to be reunited again. This is truly a disgrace to hear about another family being torn apart based on lies. I pray that justice will be done very soon. Stay strong and remember to keep Allah first.